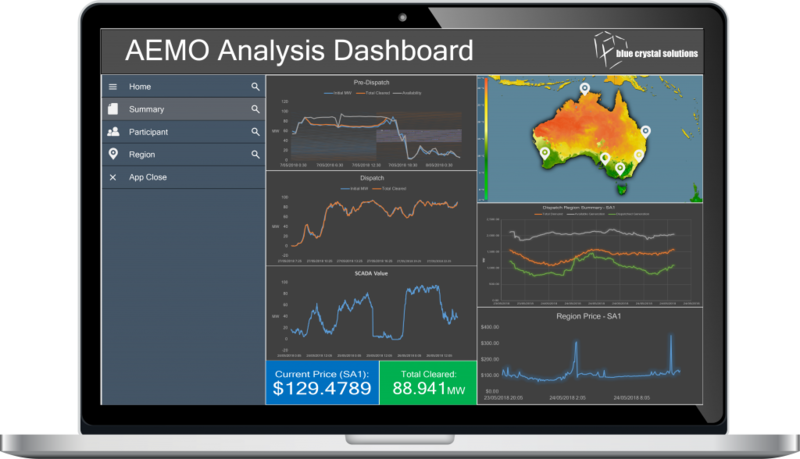 Are you an emerging energy company looking to set up an affordable AEMO Data Interchange complete with dashboards to provide you with market trends and insights? Is the AEMO trading portal sufficient for your needs, or do you require more in-depth analysis for decision making? Why should you engage BCS? Leveraging our experience in the energy industry and working with some of the key energy operators we are able to provide a solution which meets the growing needs of smaller energy companies. We are working with a number of energy companies to continuously evolve our AEMO application to suit customer’s broader needs. If you are looking to register as a participant in AEMO, we can take care of the registration and setup of your AEMO environment. Our AEMO application allows you to track energy trends with information being fed directly from the AEMO site. Our platform supports both the certified Oracle and SQL server databases as well as PostgreSQL, an open source database fully backed by Blue Crystal Solutions. We provide the expertise to deliver a fully managed solution.